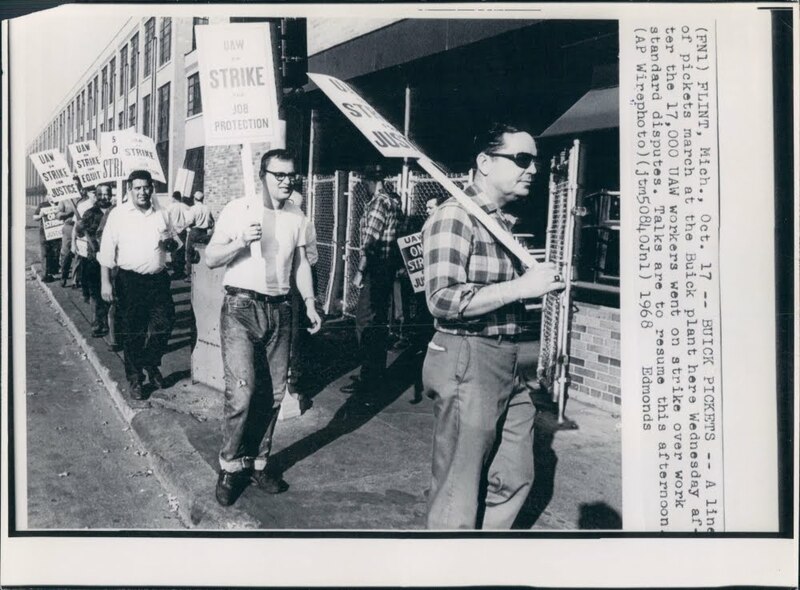 This is the 1968 strike in Flint. This is in front of the Oak park entrance at the north-end of factory #04. This north facing view shows factory #12 trailing off in the distance. link for news story. This would have been the strike I walked picket duty for during the 70’s except this is the #04 south gate. This is the Hamilton Avenue gate in 1968. 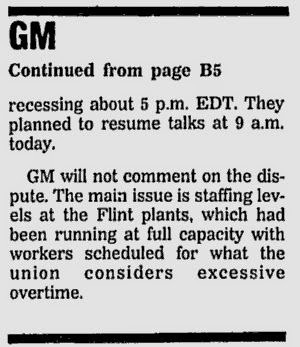 The Flint Journal states 1964 but they are mistaken. If this were 1964 the background would be filled with the Buick main office which was torn down shortly before this photo was taken. This view is facing northwest showing body receiving and factory #04. This was the same gate that I walked picket duty in the 70’s. When I walked here our plan was to hold up vehicles for at least three changes of the traffic signal. Most of management would wait, “but a few were more aggressive”. I got thrown onto a car hood when a driver tried to just barge right through. 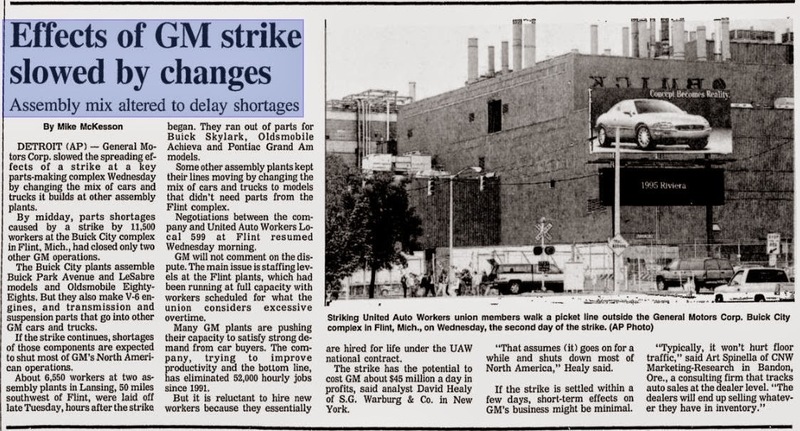 I was fine but it sure caused confusion between the union and management.